Looking to start your own little shop with a CNC milling machine? They can be used to make extravagant parts and turn huge profits if operated by an experienced CNC Machinist. However, if you don’t know what to look for or have proper training, a machine can turn into a very expensive paper weight in your garage. Obviously, the newer the machine the better, as an older one will inevitably cost you more money due to higher maintenance. How efficient do you want to be, and how big is your competition? If speed is not very important, a CNC mill that is 10-15 years old will get the job done, assuming it is in good shape. How big of a machine do you need? How big are your parts going to be? Do you have room in your garage/shop? Remember that you have to not only include the machine dimensions, but an additional amount of space around it as well. A common machine will have 40 inches of travel on the X-axis, and 15-20 on the Y-axis. Don’t need something that big? There’s some that are 30 inches, and the mini/tool-room mills have 15-20 inches in both directions. Price coincides with size, so if you are on a budget, get the smallest one possible. This will also allow you to find one that’s a little newer, due to it costing less than a bigger machine. How big of a tool changer do you need? 10? 20? 40? ATC’s (automatic tool changer) come in a variety of sizes and locations. Smaller carousels that have 10 or 20 pockets are often inside the machines enclosure. If you need one with more pockets or on the outside of the machine, it’s going to cost a little more. The number of running hours on the spindle is an important factor to consider when looking at a used CNC milling center for sale. Machine on time isn’t as important because the spindle won’t be running or feeding. The seller must be able to show you how many hours it has. If they don’t, they’re probably trying to hide something, so it’s best to steer clear from that machine. Under 4000 hours is a good start. Although options may not add a lot to the value, it may be harder to find the exact machine you want. 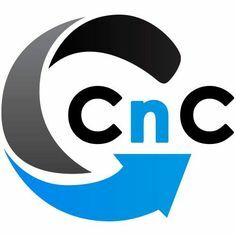 Some of the popular options on CNC mills are: chip auger, rigid tapping, tool setter/probe, high-speed machining, high-speed spindle, larger coolant tank, coolant-through spindle lines, 4th axis, faster rapid movements. It all depends on what you need the machine to do, and how patient you are in finding the right machine. The longer you wait, the more deals will show up. Are you accustomed to a certain machine controller? If you need a specific brand/model, that will either cost more, or will take longer to find. Fanuc and Yasnac, Fadal, and Mitsubishi are common CNC controls. While they are able to do a lot of the same things, navigation and codes can be quite a bit different. If you’re not sure which one you want, doing plenty of research before will save a lot of time and hassle in the long run when you actually buy a machine. It is important for you to go and look at the machine prior to purchasing it. If it is out of state, find a professional or someone you trust to look at it. The seller may be hiding something that can only be noticed when the machine is running. Run the spindle and various speeds and listen for any noises/humming sounds. Machines with multiple gears may not make any weird sounds at high RPM, but will at a lower RPM in low gear. The best way to test a machine is to run a part on it. Have it do rapid moves in all directions and listen for any sounds in the head and ways. Have them do other cycles, such as tapping, drilling, and some hard cuts with an end mill. These tests will give you a good idea if anything needs to be replaced right away. Last, but not least, do you have a way to transport or ship the machine you want to buy? CNC Milling machines are very large, and can cost a lot to ship to your house/shop if they’re out of state. Do so research and find a good company that will ship it without breaking the bank. To get an idea of how much a machine will cost, check out some listings on eBay. That will give you a better idea on what size, age, and powerful of a milling machine you can afford.